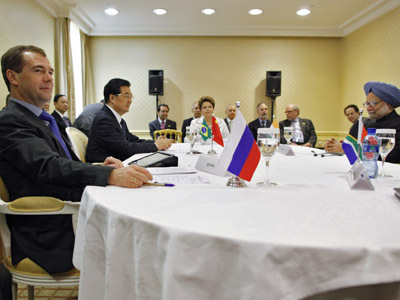 The BRICS - Brazil, Russia, India, China and South Africa - have agreed to provide credit to each other in local currencies. Officials say the deal will facilitate economic growth in times of crisis. ­The currency swap deal is aimed at promoting trade and investment in local currencies as well as to cut transaction costs. 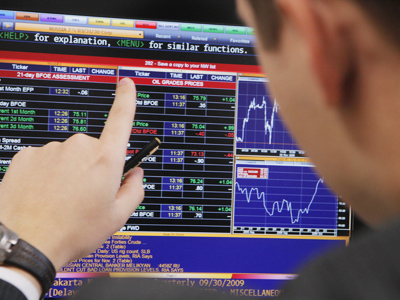 It’s also seen as a step to replace the dollar as a reserve currency in trade between BRICS. The deal would also increase the BRICS influence on the international arena and will make their cooperation less sensitive to sanctions from the West, experts say. 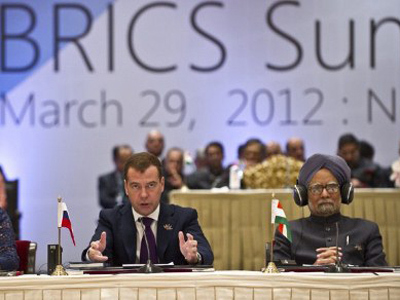 "The BRICS countries are in the first rank to do the job that international financial system now needs. 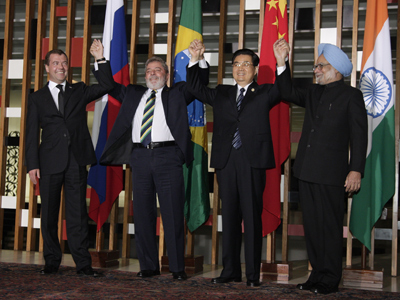 What the BRICS said was a very welcomed wake up call," John Kirton, the Co-Director of the BRICS Reasearch Group told RT. Russia and China have been trading in the rouble and yuan for several years, now Russia plans to expand local currency settlement with India. “With China it took us three years to (evolve) from initial conversations to trading in local currencies,” Vladimir Dmitriev, the chairman of Russia’ s VEB told reporters. “I think we will meet similar terms with India”. Meanwhile the swap requires a lot of technical work by each country such as the synchronization of national banking legislation, according to Mr. Dmitriev. The BRICS countries are also going to announce plans on a joint development bank which is considered a possible rival to the World Bank and the IMF. If established, it would function as a lending agency and would provide finance for joint BRICS projects. "They made it very clear it would be built to benefit not only BRICS countries themselves, but developing countries more broadly," said KIrton. "But the big message was to give the World Bank more resources, only then would they see how the BRICS bank would fit in the supplement what they’ve already got."